Jacksonville Sheriffs Office has responded to a reported bank robbery in the 4300 block of Blanding Blvd. on Saturday. 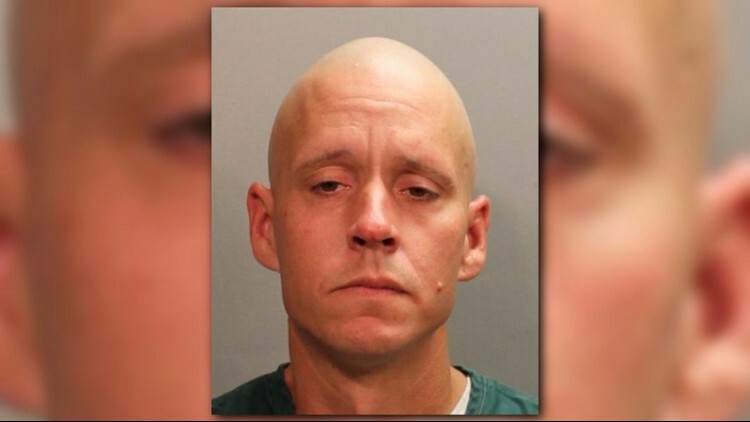 UPDATE: The Jacksonville Sheriff's Office arrested a 39-year-old man in connection with a bank robbery that occurred Saturday at a Wells Fargo near Orange Park. Gary W. Lucas, 39, was arrested Tuesday after faces a second-degree felony charge of strong arm robbery - no firearm or weapon. He is being held without bond, according to JSO arrest records. Jacksonville Sheriffs Office needs your help in identifying a bank robbery suspect who allegedly robbed the Wells Fargo in the 4300 block of Blanding Boulevard on Saturday. Witnesses advised the suspect entered the bank and passed a note to the teller demanding money. The suspect indicated he had a weapon but never displayed it. The teller complied with his demands and the suspect left the bank and was last seen southbound on Blanding riding a dark-colored bicycle, a news release said Saturday night. First Coast News called JSO which confirmed there were police units at the Wells Fargo bank, located at 4328 Blanding Blvd., after receiving a viewer tip on the matter. Anyone with information about this suspect is asked to contact JSO at 904-630-0500 or Crime Stoppers at 1-866-845-TIPS. Stay with First Coast News as we continue to follow this developing story.